Prime Studio® Black Series Bundle brings you charismatic analog sounding equalizing, limiting and compression sound into your digital audio workflow. Based on latest Core9 technology by Acustica Audio. 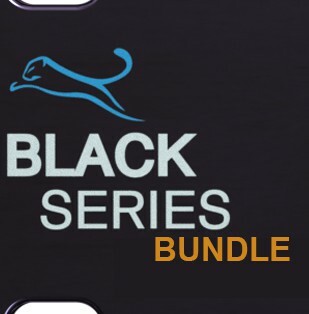 Prime Studio® Black Series Bundle brings you charismatic analog sounding equalizing, limiting and compression sound into your digital audio workflow. Based on latest Core9 technology by Acustica Audio the new sidechain functionality and ECO mode offer new flexibility and high quality sound. Based on latest Core9 technology by Acustica Audio the new sidechain functionality and ECO mode offer new flexibility and high quality sound. PC: Multicore CPU, 64bit operating system (min. Windows 7), 8 GB RAM, 500MB HDD, 1024×768 screen resolution, VST2 64bit compatible audio host. AAX 64Bit operating system and DAW (PT 11 or higher). MAC: Dual Core CPU, 64 bit operating system (min. OS X 10.9 – Mavericks), 8 GB RAM, 500MB HDD, 1024×768 screen resolution, VST/AU 64bit compatible audio host. AAX 64Bit operating system and DAW (PT 11 or higher). PC: Latest multicore CPU (Intel Xeon v3 or Intel i7 generation 4 or 6 or newer is recommended. ), latest 64bit operating system, 16 GB – 128 GB RAM, 500MB HDD, 1920×1080 screen resolution, VST2/AAX 64bit compatible audio host. MAC: Latest multicore CPU (Intel Xeon v3 or Intel i7 generation 4 or 6 or newer is recommended. ), latest 64bit operating system, 16 GB – 128 GB RAM, 500MB HDD, 1920×1080 screen resolution, VST2/AU/AAX 64bit compatible audio host. Prime Studio® Caribou Compressor, Filter & Mix Plug-in Bundle inspired by the unique sound of vintage analog console design offering vintage sparkle to your digital productions. Specialising in offering rare and unique analog vintage equipment to our customers for their productions at Prime Studio® it was obvious going a step further presenting sparkling sound in the digital domain too. Collaborating with one of the audio industry’s leading audio plug-in developers, Acustica Audio, Prime Studio® now offers special versions of highly sought after analog vintage audio devices having already shaped the sound of countless international hit recordings across the music genres. Inspired by the unique sound of classic analog console design Prime Studio® Caribou Bundle offers three different versatile tools to bring that vintage sparkle to your productions whether you are in the studio or producing your tunes anywhere around the world. Prime Studio® Compressor, Curve & Mix Plug-in Bundle inspired by the unique sound of British console design offering vintage sparkle to your digital productions. Inspired by the unique sound of British console design Prime Studio® offers three different versatile tools to bring that vintage sparkle to your productions whether you are in the studio or producing your tunes anywhere around the world. Prime Studio® Black Series Compressor brings punchy analog compressor sound to your digital workflow. Based on latest Core9 technology by Acustica Audio. Prime Studio® Black Series Compressor brings punchy analog compressor sound to your digital workflow. Based on latest Core9 technology by Acustica Audio the new sidechain functionality and ECO mode offer new flexibility and high quality sound. Prime Studio® Black Series Equalizer offers three different frequency bands plus two assignable filters for your track treatment based on the latest Core9 technology by Acustica Audio. Prime Studio® Black Series Equalizer offers three different frequency bands plus two assignable filters for your track treatment. Based on the latest Core9 technology by Acustica Audio it is very flexible to use and offers high sound quality. Prime Studio® Black Series Limiter brings analog limiting sound to your digital workflow. Based on latest Core9 technology by Acustica Audio. Prime Studio® Black Series Limiter brings analog limiting sound to your digital workflow. Based on latest Core9 technology by Acustica Audio the new sidechain functionality and ECO mode offer new flexibility and high quality sound. 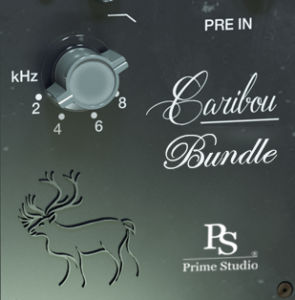 Prime Studio® Caribou Mix is a rare stereo three band equalizer and filter with which you can refine your tracks with silky and smooth sound. 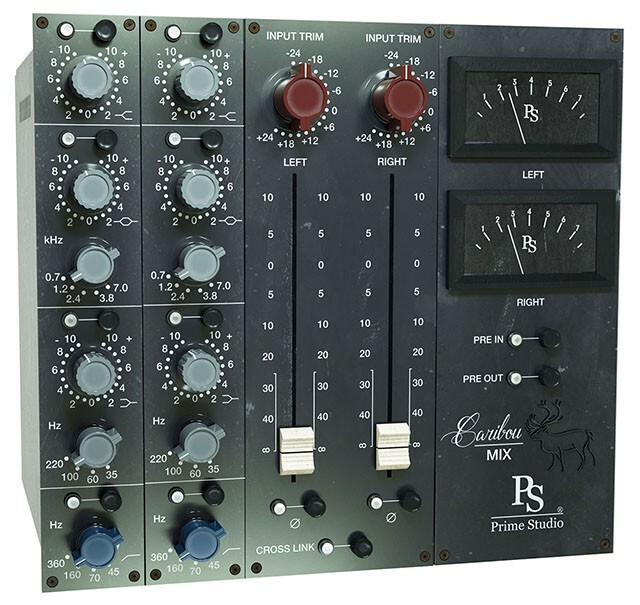 Prime Studio® Caribou Mix gives you the character of a rare vintage stereo three band equalizer with low cut filter and phase reverse. Besides functioning as an equalizer you can flavor your tracks with harmonics of two different preamps and channel faders. 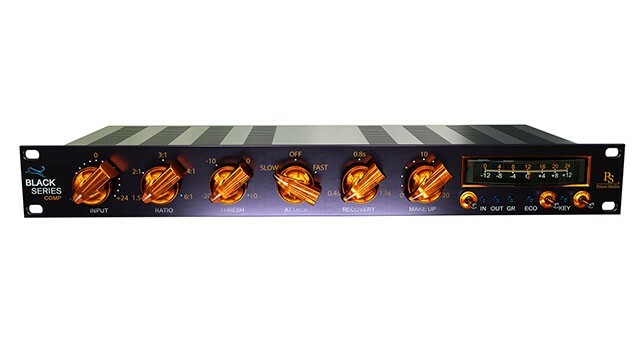 Prime Studio® Caribou Filter is two band filter tool based on a rare vintage preamp module. Prime Studio® Caribou Filter is a high pass and low pass filter tool based on a rare vintage module. 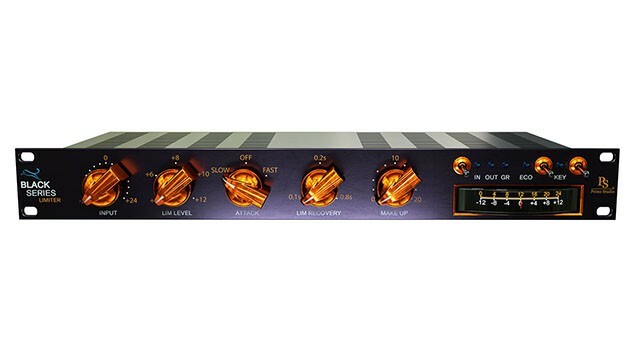 Besides the filter bands you can add preamp harmonics to shape the sound of your tracks. 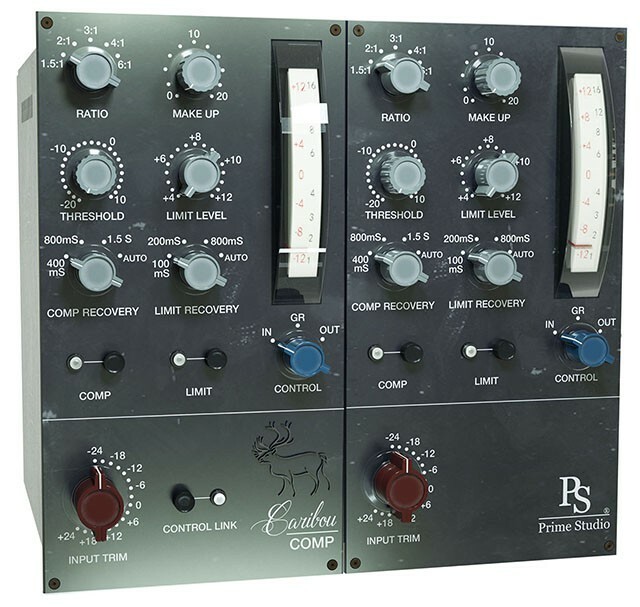 Prime Studio® Caribou Compressor is a stereo compressor / limiter. Glues your tracks together, gives them punch, clarity and adds harmonic distortion to taste. Prime Studio® Caribou Compressor is a stereo compressor / limiter based on a classic analog vintage tool. Add punch, clarity and harmonics to your stereo tracks, individually for each side. 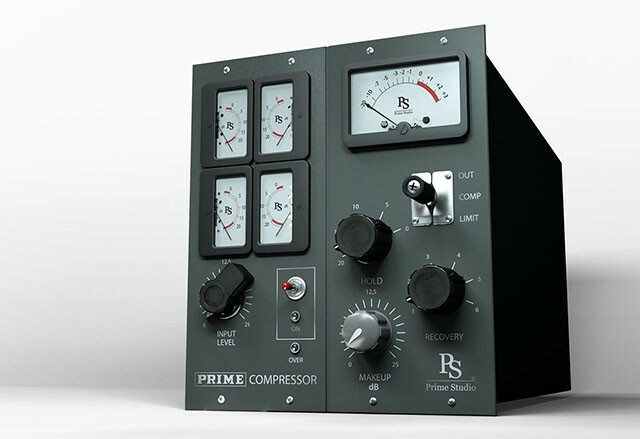 Due to its characteristically sounding compression, one of the rarest and highest sought after dynamic tools in the analog domain has been model for Prime Studio® Compressor. Due to its characteristically sounding compression, one of the rarest and highest sought after dynamic tools in the analog domain has been model for Prime Studio® Compressor. Yet having an easy and fast to set up tool that gives your tracks the warmth and punch only vintage audio gear can offer, now you have the spice available that has been missing in your sound kitchen. Offering total control over input and output signals and compression by vintage style VU metering you can fine trim your sound using makeup gain, hold and recovery controls as well as switching the unit from acting as a compressor or limiter. 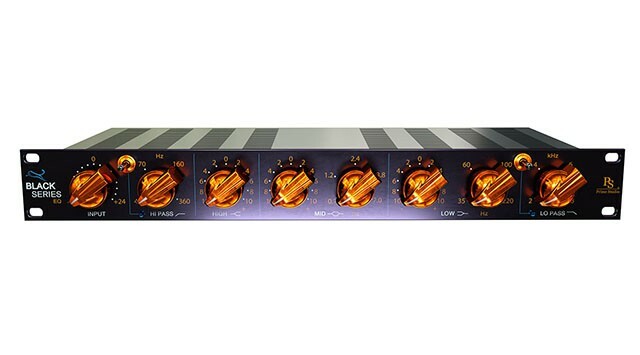 Single channel treatment, parallel compression or even sum compression or mastering. It is your choice how to add that sparkle glue to your tunes with Prime Studio® Compressor.